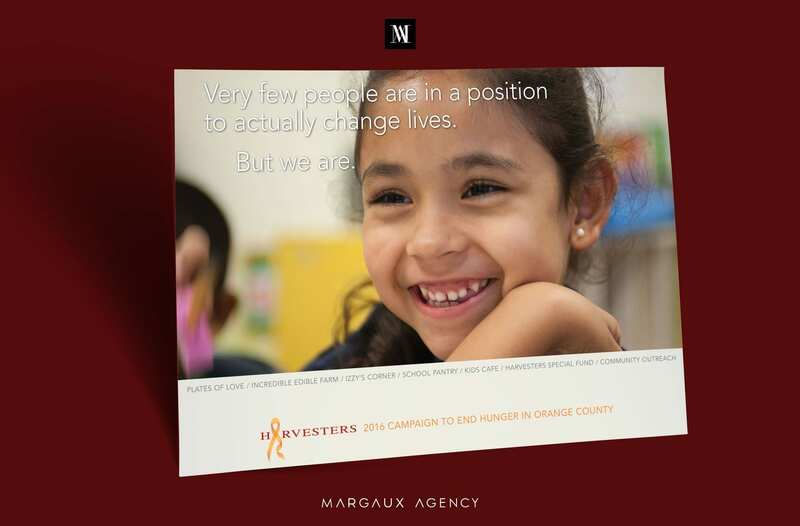 To design a community outreach campaign for the Orange County nonprofit agency The Harvesters. We helped in illustrating their ‘End hunger in Orange County’ campaign with an auctioned fashion show and luncheon. We wanted to ensure their noble endeavor was remembered. We started with updating their yearly newsletter for people to have a clear insight into the organization, goals and feel welcomed to participate. We wanted to be confident in making them feel classy yet down to earth, in their approach. 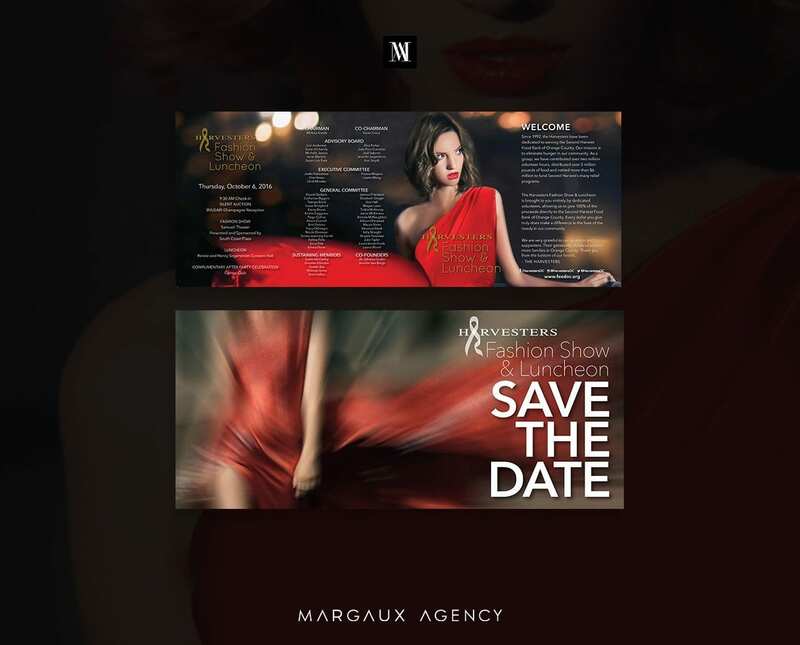 For the main fundraising event, we designed a sleek, high-end fundraising fashion show and luncheon. The goal was to invite donors to participate in another great year of funding efforts to end hunger in Orange County. 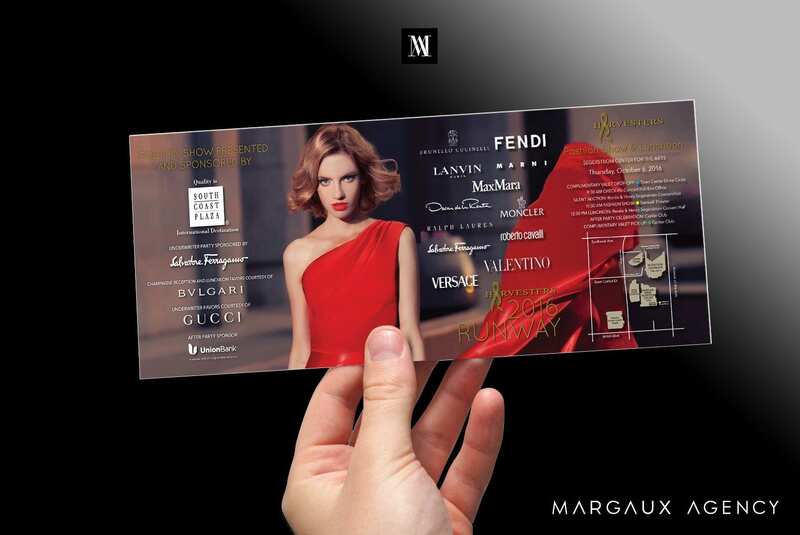 We then created matching invitation and RSVP cards once the event drew closer. We knew that this would be a delicate task. And doing this would require a lot of minimal effort for the end product to be delivered. Helping them to become more welcoming and come up with something that sets realistic goals was what we worked on.